Take 1 gel capsule daily, or as directed. Los efectos destructivos de los radicales libres nos afectan cada día. Los efectos destructivos son intensificados por algunos daños medioambientales, el esmog, el humo de cigarillos, la radiación UV, y algunos platos insalubres. La vitamina E es un antioxidante fuerte, que facilita el funcionamiento apropriado de nuestras células. ¡Haga uso de la ayuda natural porporcionada por las vitaminas! We are exposed to the cell-damaging effects of free radicals day after day. The destroying effects are intensified by environmental damages as well (like smog, cigarette smoke, UV radiation, or certain unhealthy foods). Vitamin E is a powerful antioxidant, which helps maintain the normal functioning of cells. 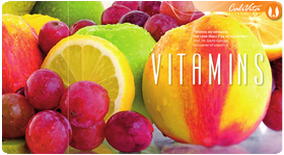 Take advantage of the natural assistance that vitamin E can offer! Many scientists believe that the root cause of aging, or at least a contributing factor, is the damage caused to the cells of our bodies by highly unstable and reactive atoms known as free radicals. Normally, electrons surrounding the nucleus of an atom are in pairs. Oxidative processes in our body, such as converting food to energy, causes some of these atoms to lose an electron, turning them into free radicals…that is, an atom with an upaired electron in its outer ring. As electrons have a strong bias to exist in pairs, rather than singly, the free radical will steal the electron it needs from another normal atom, turning the normal atom into a free radical, and starting a chain reaction of free radical formation. Over time, this process can cause impairments in cell function. If enough damage is cause, the cell can die. Antioxidants are substances that are able to slow down or break the chain reaction of free radical formation, by their ability to donate a single electron to a free radical without becoming unstable themselves. One of the best antioxidants known is the fat-soluable Vitamin E (tocoferol). Aside from being a powerful antioxidant, Vitamin E plays many other important physiological roles in our metabolism. One of the more important functions is that it is required for the utilizations of many several other vitamins and minerals such as vitamin A, vitamin K and selenium. In addition to this role, it provides key support for both immune system, and central nervous system function, as well as helping to regulate sexual hormones. It is beneficial for high performance individuals such as athletes, as it supports protein synthesis, and helps delay muscle fatigue. 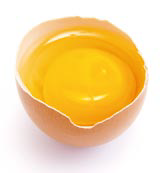 Certain medications may reduce absorption of vitamin E. Check with your doctor. If you suffer from high blood pressure, or have a pending operation or surgery, seek qualified medical advice before taking this product.